Q: In my garage, I just assemble airline, I must admit that I am not too excited to hang on to their status. They came from Lloyd's black pipe. They did not look scary, but impression is a rusty place. I always tell myself that it is just a garage, rather than kitchen, is it right. But some people in the garage here is better than my kitchen. What do I want? I do not have more time, but I want to make them look better than they are now. So I put these tubes, and I wash when thinking about putting a surface on it? 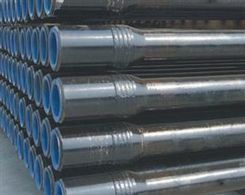 A: We have introduced in my previous article, black steel pipe is a very popular for domestic and foreign consumers. It can be used for gas and water. Suggest you put your black steel pipes to protect it from corrosion. There are all kinds of coating can be used to. Here, we will give you a brief introduction of how to paint black steel pipe. For the sake of you and the tube, it is suggested that you prepare the following things, such as furnace paint, paint brush, cloth, and the painter's tape and so on. Suggest you use masks because there is some chemical paint coating materials. Also, you'd better wear a pair of gloves when you draw. First, make sure work area well ventilated. If you decide to paint it indoor, it is recommended that you open any of the available doors and windows. 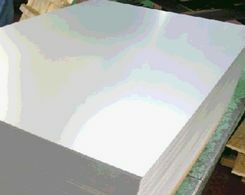 As we all know, there are all kinds of international and domestic market, coatings. There are some chemical or toxic substances in coatings. So, what you should do is to make sure that the ventilation condition decrease power of paint in the air you breathe. Second, you can use the cloth or plastic cover or other things when you decide not to draw the area. Some places cannot use coverage to cover it, it is suggested that with the edge of the painter's tape, you cannot cover cloth. Remember to stir coating before coating your paintings. Third, keep in mind the use of paintbrush paint. You can use the paint spray gun, because it can help you more effectively. The welded steel pipe and API steel pipe are also available. If you need to add a second coverage, always make sure that the first layer dry. Then you can make cloth or plastic tube that can be used to cover. Next:Do You Know the Features of Black Steel Pipe?